This 19 inches high lamp celebrates the exquisite appeal of subtlety. 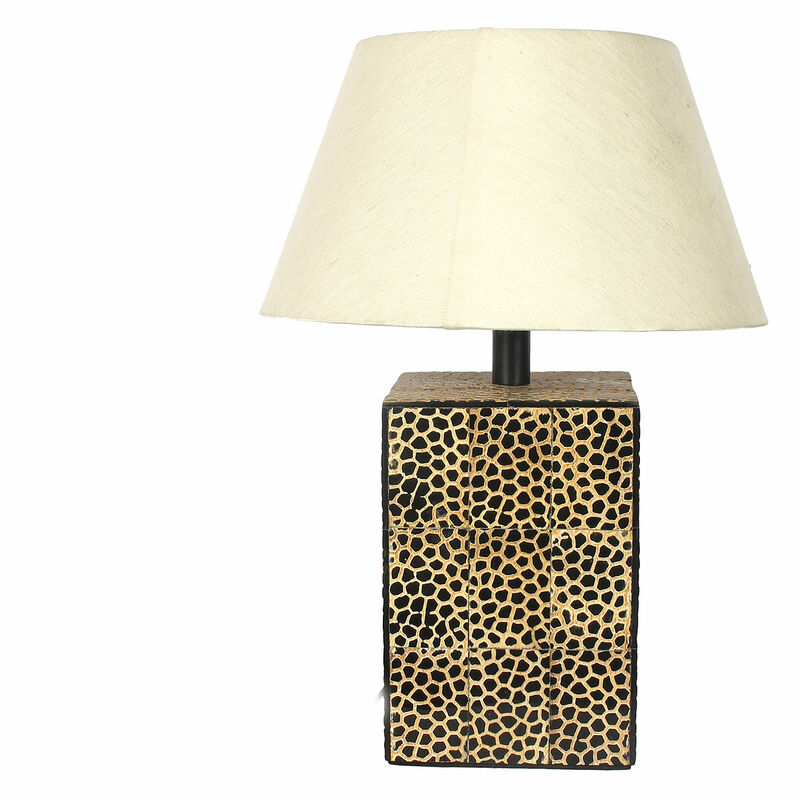 An white 13x7.5x9 inches shade, adorned gracefully over a delicately hued Natural / Brown base crafted with Horn, this lamp is an embodiment of class and panache. Tantalizing, soft colours to brighten your room with warmth, both when switched on and off. Colour : Off White, Lamp Base Material: Honeycomb Glass, Lamp Shade Material : Natural, Power Source: E-27 Holder & 2 Pin Round Plug Battery Operated - No, Shade: 13x7.5x9'', Base: 19x6.5''. THE DECOR MART brings to you an exclusive collection of hand-crafted designer products which blend quality, affordability & functionality. Each product is tested using stringent quality-check protocols & is backed by our Quality Assurance & Returns Policy. This product has been hand-crafted especially for you! Slight variations in colour, pattern, texture, etc are inherent in the nature of hand-crafted products.